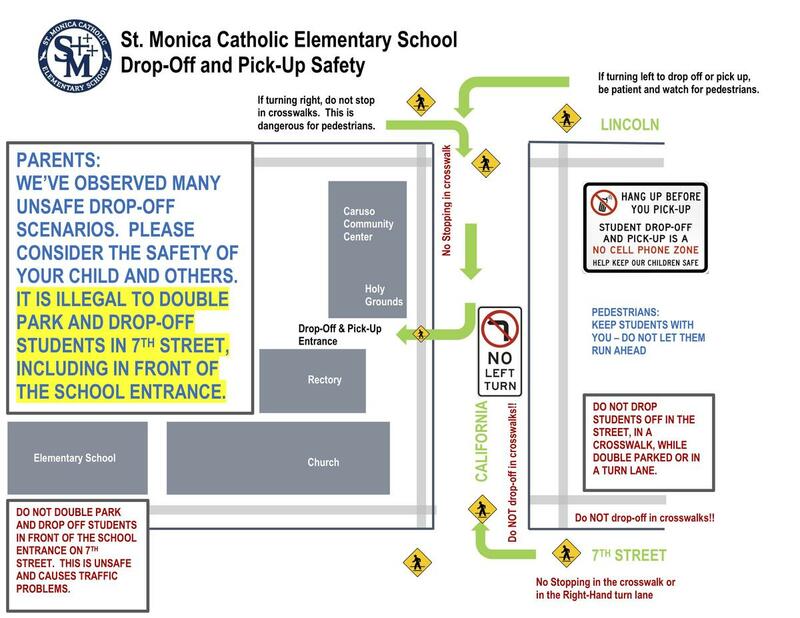 Please join us in this important effort to ensure maximum safety for all students. we understand the hustle of these times ​we need your help​ ​to ensure ​maximum safety. This is a concern on 7t h Street in front of the main school entrance. Parents are stopping their cars and either sending children out on their own or assisting children out of their car. Parents are walking students to the door leaving vehicles unoccupied in the street. This is a concern at the intersection of 7t h and California. Parents are stopping their cars in the right-hand turn lane of northbound 7t h Street to drop off children. Cars driving behind the stopped cars often go around them to turn right, not realizing a child has emerged from their car. Cars are also stopping in the crosswalk to drop off students. This is a concern on California and Lincoln intersection. 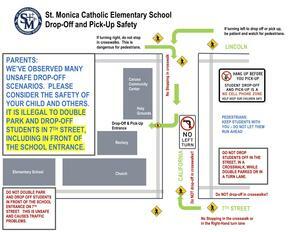 We understand there are many right and left turners trying to get in the drop-off/ pick-up queue. We have observed vehicles turning into the crosswalk to beat other traffic or stopped in the crosswalk. We would also like to offer options to correct the above. This is our strongest and safest recommendation. During the designated times, SMCES staff members are on duty to usher students to and from cars and to assist with pedestrian traffic near the driveway.